Digital technology promises to revolutionise telecare and warden call in the supported housing sector. But how ready is the sector? 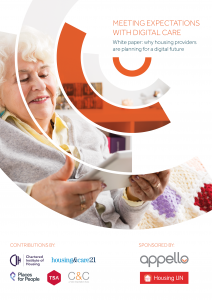 This is the second in a series of reports exploring digital telecare transformation in the supported housing sector, following on from our previous report, Fast Forward to Digital Care, published in 2016. This report is for decision makers in housing associations and providers of supported housing, policy makers, local authorities, charities, house builders, and anyone involved in the provision of services for independent living for our ageing population.